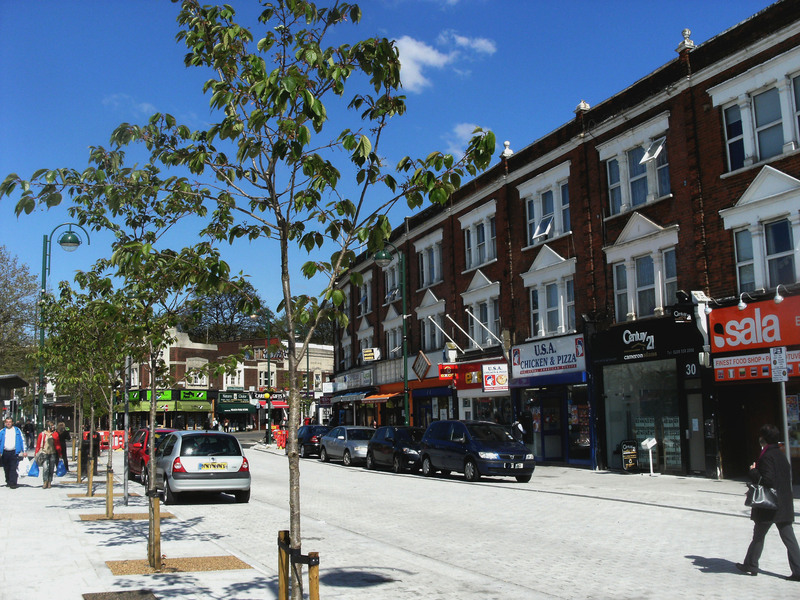 May 2012 has seen the finishing touches to improvements to the look of Leytonstone in the run-up to the Olympics. 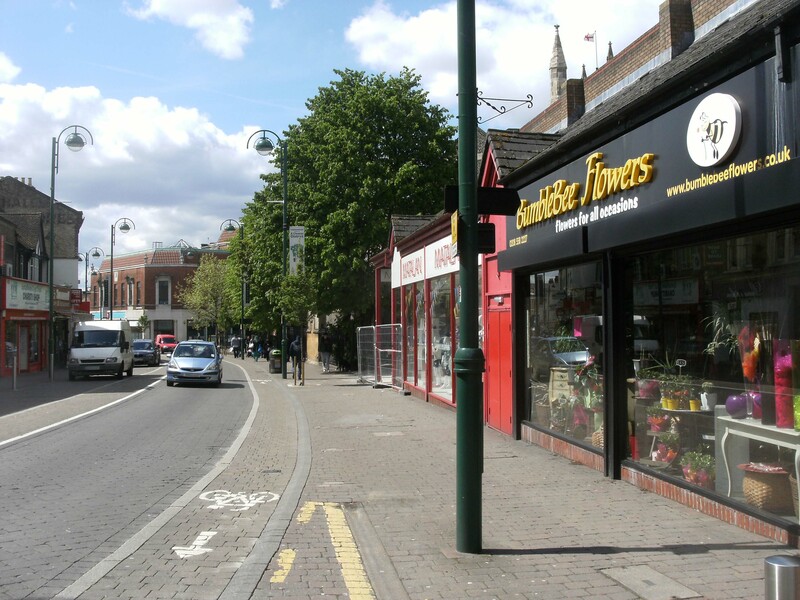 The improvements have included new paving, new seating, barriers, cycle racks, new trees and planting and demolition of the disused toilets on Kirkdale Road. 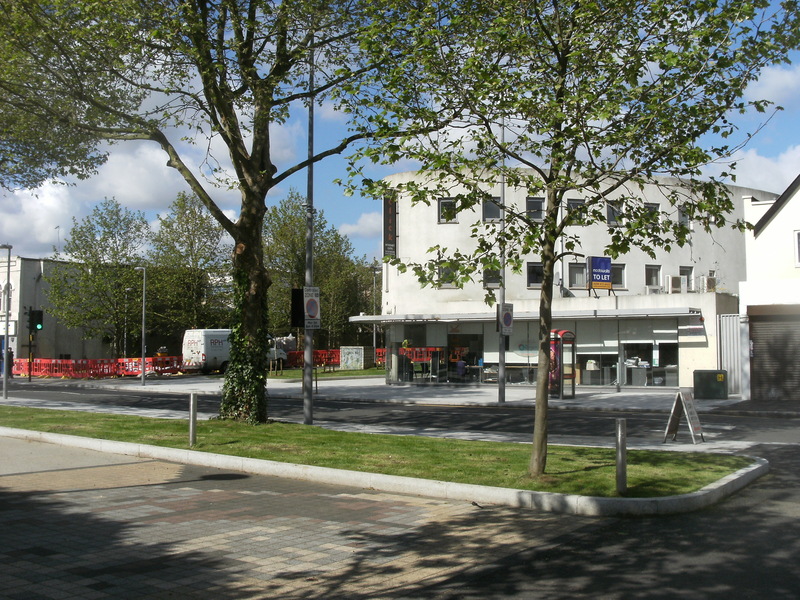 The changes have been made along the length of the High Road, at Leytonstone station, around the town centre at Harrow Green, remodelling of the Thatched House junction and the entrance to Langthorne Park and along Whipps Cross Road, where there is now a shared pedestrian/bicycle path on the forest side, the whole length of the road. Independent of these Council initiatives the last year or so has seen the scaffolding come off the steeple of St John’s Church, revealing the repaired stonemasonry, two distinctive buildings on Whipps Cross Road — Sir Alfred Hitchcock Hotel and the house on the corner of Chadwick Road completely refurbished and two supermarkets, Tesco and Sainsbury’s open new small stores (Tesco opposite the fire station and Sainsbury’s in Church Lane). 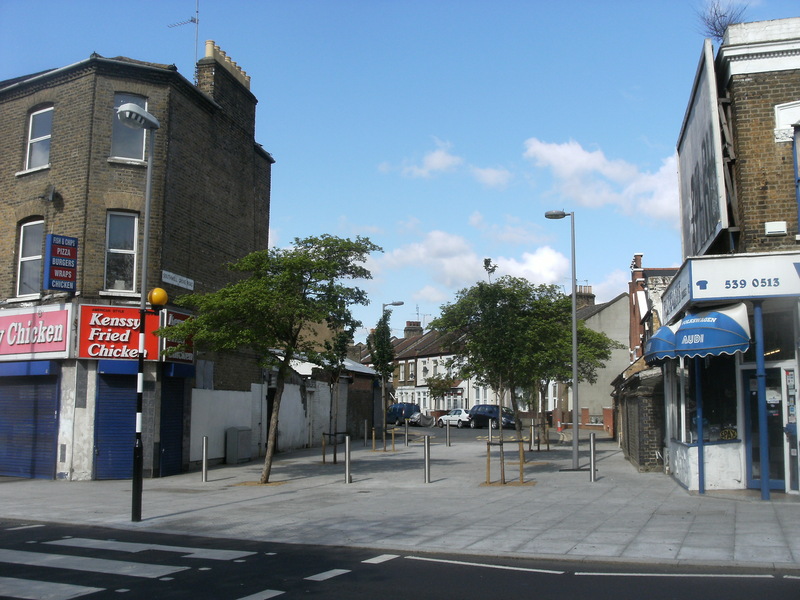 The derelict Zulu’s pub has reopened as the lively Red Lion which also now has a fortnightly craft Lion Heart market outside [Update 2013: the Lion Heart Market became E11 Market and relocated to outside Matalan alongside the weekly Organiclea stall]. Lincoln’s pub has closed and the Harrow Green Library has fallen to cuts in Council spending, but opposite in Harrow Green the former Loaded Dog pub has reopened as the new Shepherd’s Inn pub/restaurant bringing a taste of Lithuania to this corner of Leytonstone. Also causing a buzz has been the opening of The Stone Space in Church Lane, perhaps one of the world’s smallest art galleries, but one that has made a big impact on Leytonstone’s already growing arts scene, as well as the creation of an online Leytonstone Museum. And, of course, this website. These pictures record some of the changes. If you have a picture you would like to be included from your area, which I’ve missed, please send it to me ldh.london@gmail.com. The former Thatched House pub is now a betting shop. Thatched House junction is the beginning of Leytonstone, approaching from Stratford. The new paving in some cases is not laid too well either – there were puddles on it in Church Lane opposite the tube station. The bench outside the church was not replaced as some people were persistently harassing church goers for money there. 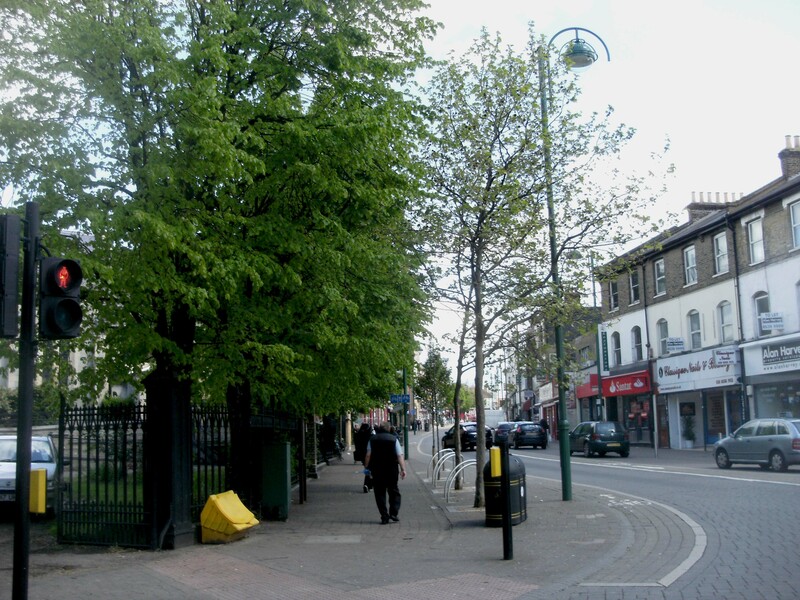 looking good, very disapointed at the lack of benches, the one near the church was not put back, as someone whose mobility is challenged i have to rest on the silver uprights, when benches would be welcome, between the 99p shop and leaf man no benches. 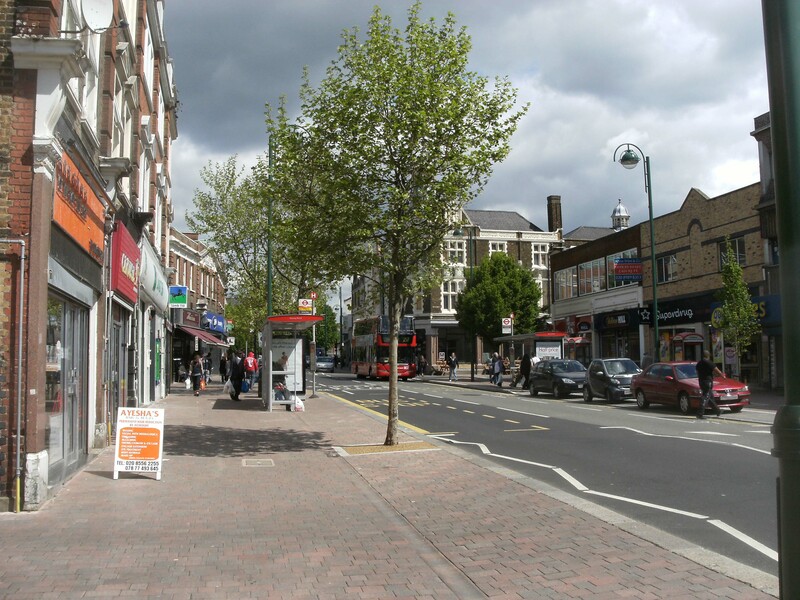 compared to wanstead which has benches every where including the church and all along the high street, very disapointing . Oh yeah that’s great lose a library and get a tesco’s and a sainsburys! No food for thought then!